Today I will show you how to line foam cups. There might be other techniques but this is how I do it. 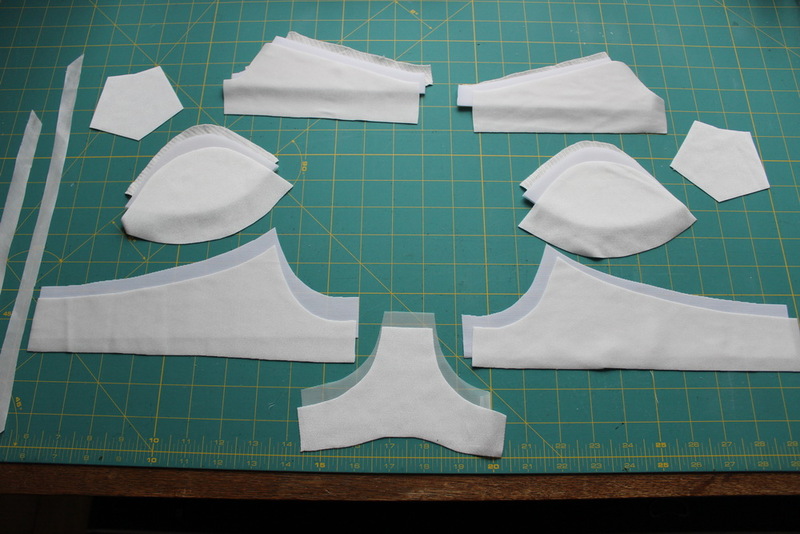 When I start sewing a bra I like to lay out all my pieces rouhgly like they will be sewn into the bra. This is especially important if you have right and left cup pieces that look almost the same. 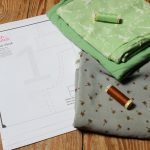 If ever possible I try to have the pieces lying in this order on my sewing table until they are used. 2. 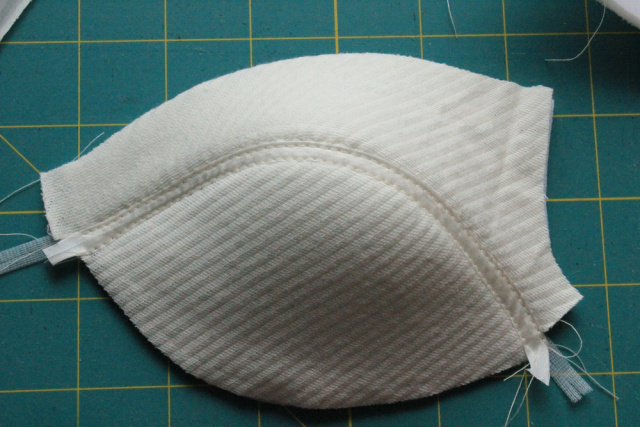 Baste along the cup seam (this is the upper edge that will be sewn to the upper cup). Do not yet baste along the other edges. 3. Do the same with the upper cup pieces. Baste along the lower edge. 4. 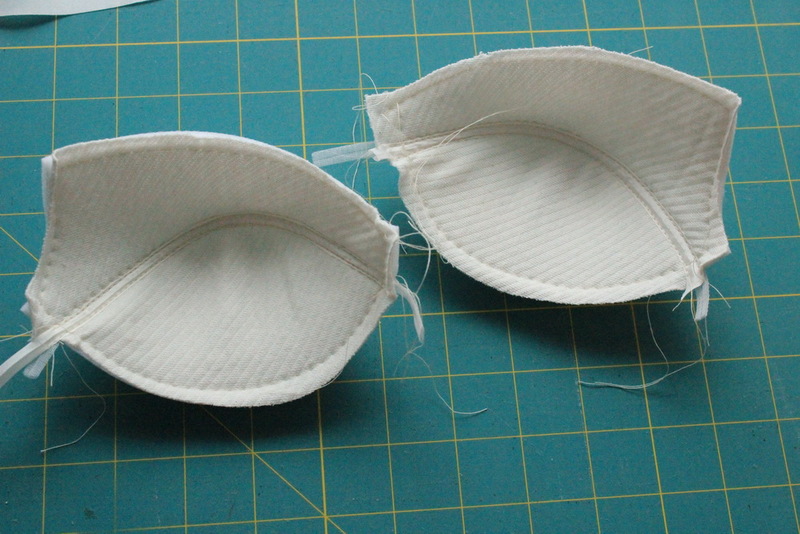 Sew the upper and lower cup together by butting the edges together. 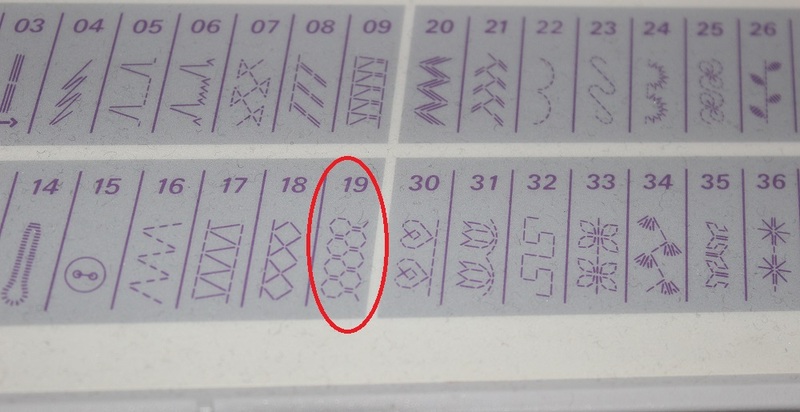 I use a “Wabenstich” for this seam (stich no 19 in the picture below. How is it called in English?). 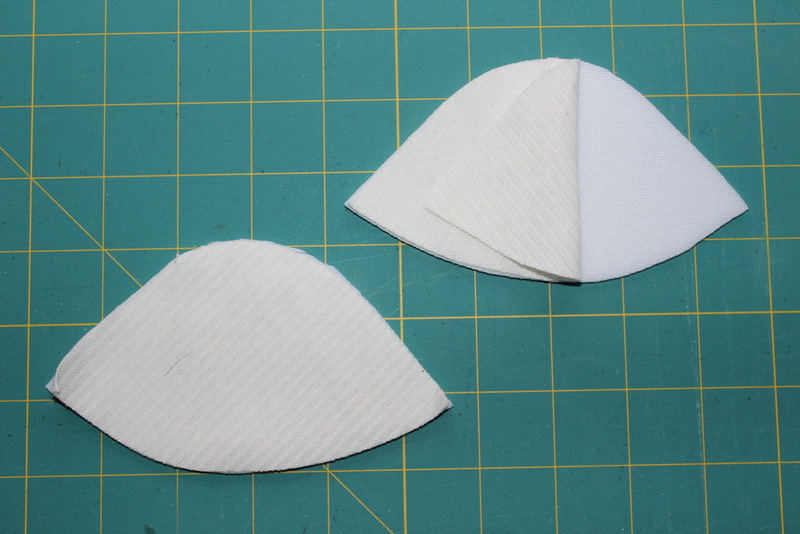 If you do not have one you can also use a 3-fold zigzag stitch. 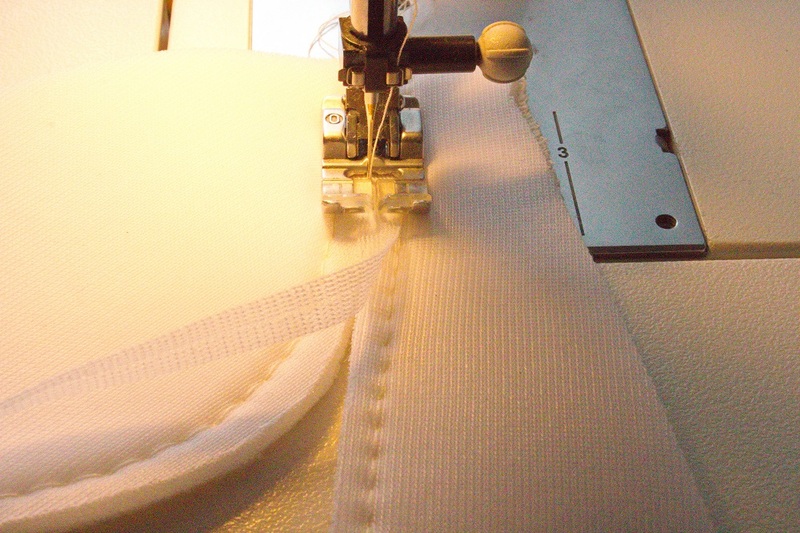 I also like to sew a seam tape to the outer side of the cup in the same step. 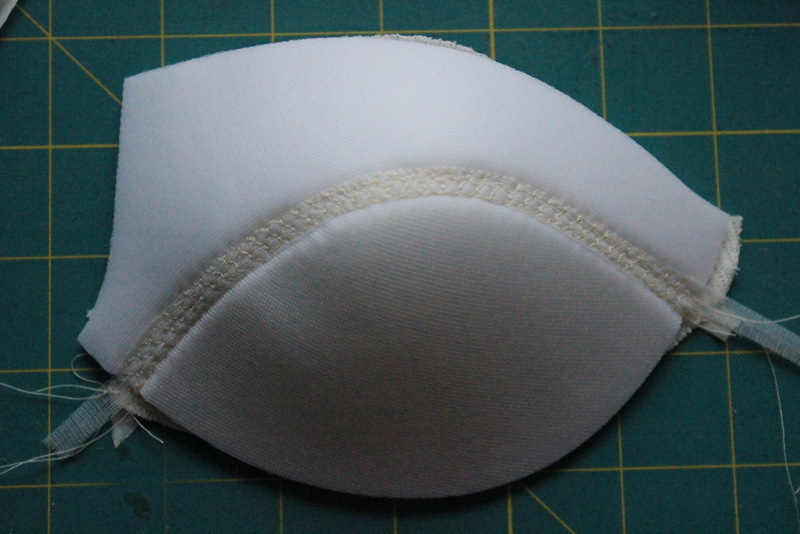 This prevents the seam from showing through on the outside. 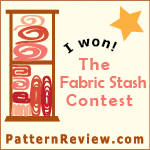 Now you are ready to sew the bias tape onto the cup seam. 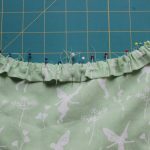 You can also use purchased bias tape or satin ribbon or anything else that is wide enough to cover the seam. 6. 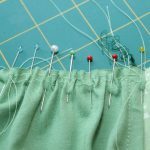 Lay the bias tape over the inner cup seam and sew with a slightly longer straight stitch (3.5) along both edges. 7. 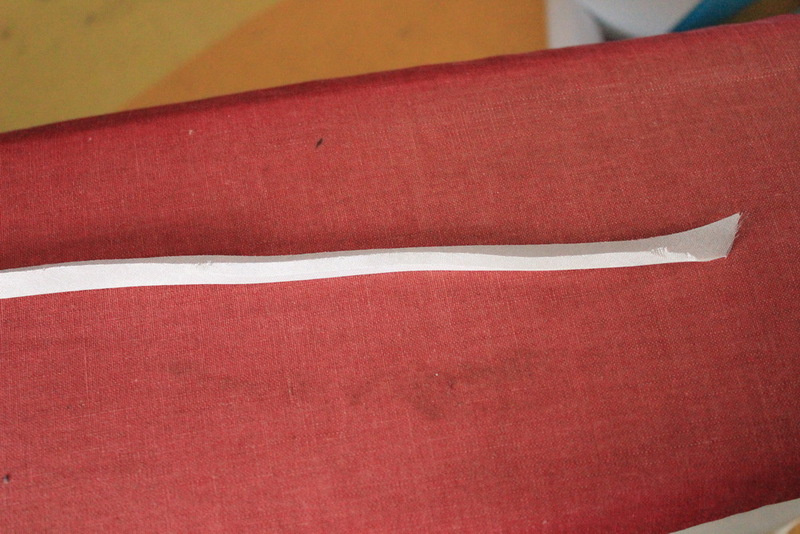 Baste the lining to the outer edges of the foam. Make sure that is lays flat on the foam. 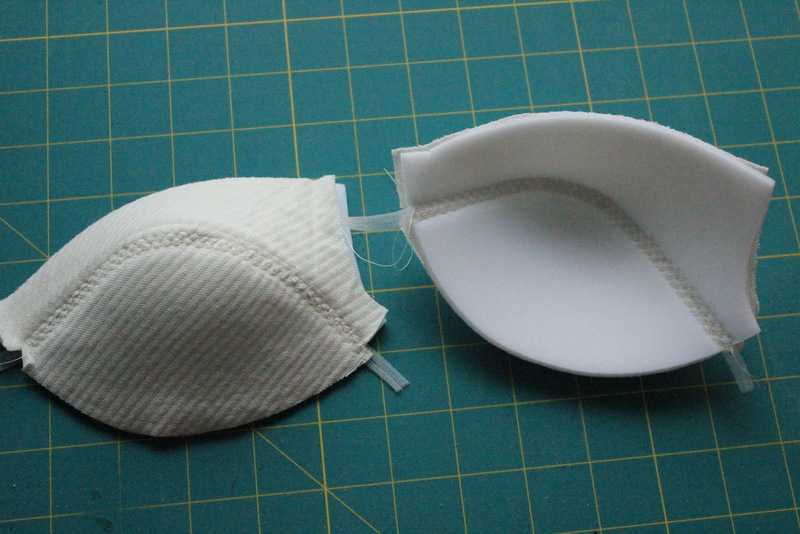 The lining might be slightly bigger (because it is on the inside of the curved cup). 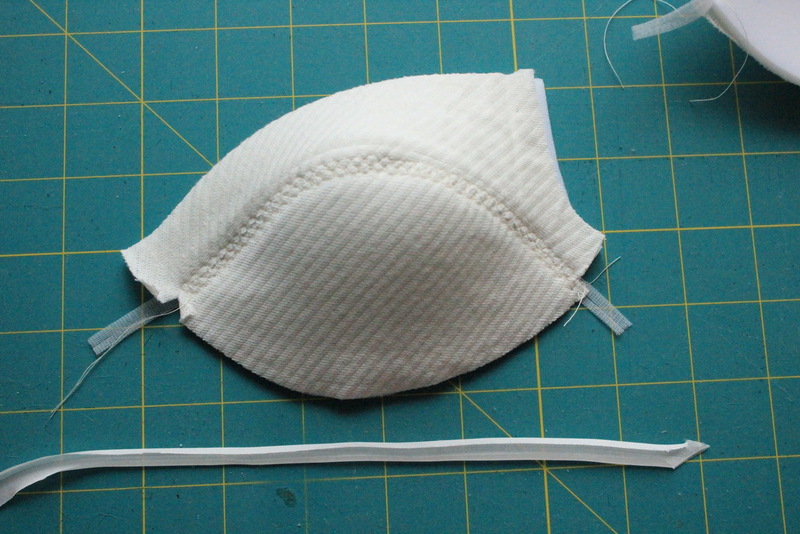 Trim away the excess lining (I haven’t done this yet on the picture below). 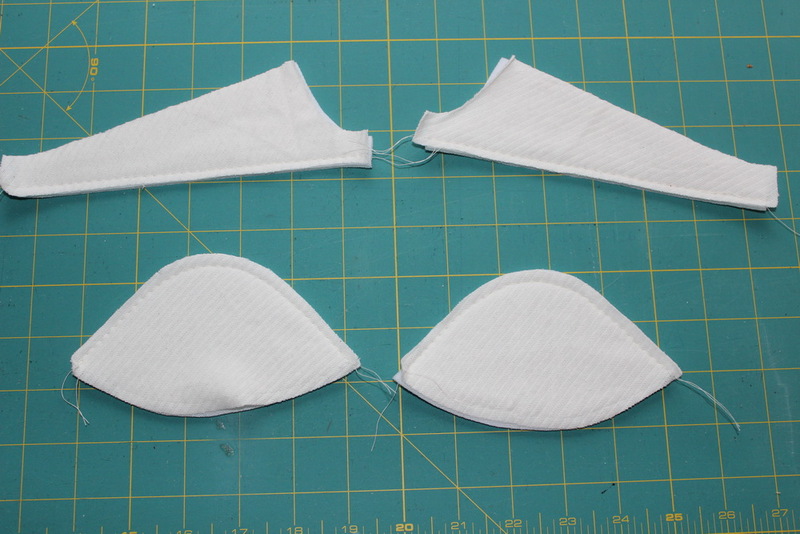 Now you are ready to sew your bra as usual. I hope this little tutorial (my first one!) was helpful. 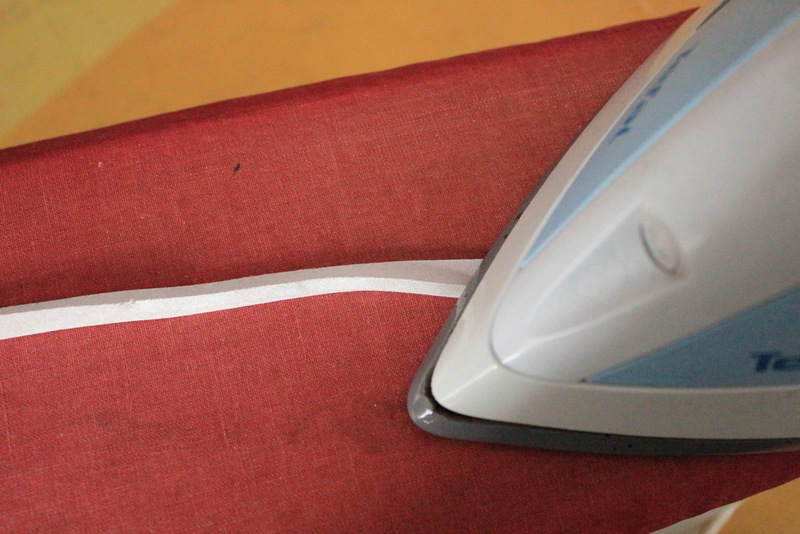 I have already ideas to use a contrasting fabric for the lining to give a bra some extra appeal. 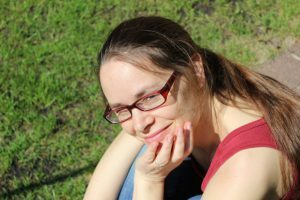 I am happy that my post is of some help. Wish you the best your for own bra journey! Thank you so much, one of these days I will get there.